Surrogacy opens up new horizons, new doors, and new possibilities for childless couples who have had not ability to conceive naturally due to infertility or some other medical reasons. Surrogacy program can be complex in some circumstances if you are not aware of the basics regarding surrogacy. Here are 10 things that you should consider before you decide to opt for surrogacy. Medical Requirements: When you are declared infertile or you doctor tell you candidly that you cannot have children on their own due to some defined medical reasons; surrogacy becomes a good option to build your family. Your surrogate should also qualify conditions before you take her into confidence in your surrogacy program. Psychological Issues: Consult a counsellor to determine how surrogacy can benefit you on the road to parenthood. The counsellor will also make you mentally prepared to let someone else carry your child for you. You will be then ready to face all the challenges and go ahead to take the surrogacy journey positively. Psychological counselling of the surrogate mother: Psychological counselling of the surrogate mother is as important as yours. She should already have at least one child before going to carry someone else’s baby. You can also know more about the eligibility requirement of a surrogate and by this you will have a peace of mind. You can know some of the details about your surrogate during the matching process. Be informed about legal issues around surrogacy: You should know that all the countries do not have same laws on surrogacy. And if there is any confusion please get the information from a surrogacy agency or a fertility clinic. All Questions Should be Cleared: Both the intended parents and the surrogate mother should give the details of entire medical history including genetic illnesses, hospitalizations, health status, prior marriages, marital status, prior children, prior pregnancy history, bankruptcies and legal judgements, infertility history, etc. Ongoing Psychological counselling: This is important step after you sign the surrogacy arrangement. Intended Parents and surrogate mother undergo psychological counselling so that the journey goes in a smooth way. By this, surrogate mother becomes cautious about the child she is carrying for intended parents. Partner’s connection with the child: In gestational surrogacy arrangement, the resulting child born to a surrogate mother will be genetically related to the intended parents, but not the surrogate. Either of the partners can provide an egg donor or sperm and through in vitro fertilization, the embryo is implanted into the surrogate’s uterus. Choose the right agency: Choosing the right agency will make your path easier. The agencies play an important role to facilitate the process between the intended parents, fertility clinic and the surrogate mother. If you are looking for a surrogacy program in India, Seed Art Bank one of the leading independent surrogacy service providers and banks that supply oocytes/eggs in India is ready to help you out. 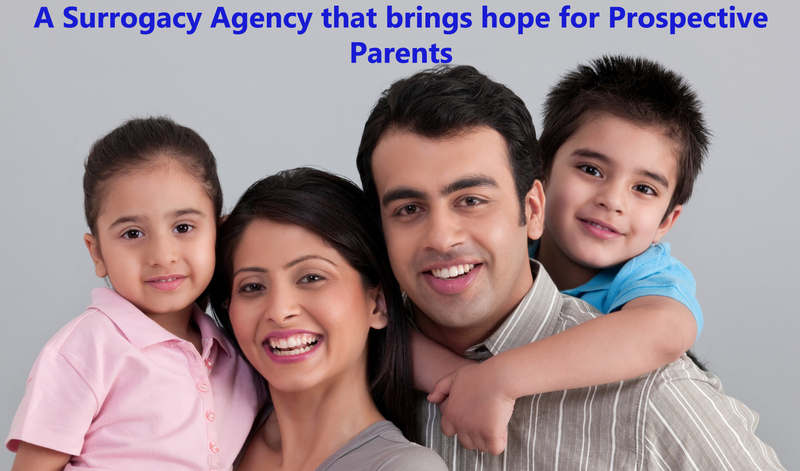 We provide all the above facilities that is important in your surrogacy program. You can email us at rita@internationalfertilitycentre.com to know more about surrogacy program in India. SEED is the leading ART Bank in India and a well-known provider of Indian Egg Donors and Surrogate Mothers. We have had the honour of completing more than 1000 families with the help of our Egg Donors and Surrogate Mothers. We have a huge collection of Surrogate Mothers and Egg donors in our database which continues to grow every day. All our Egg Donors and Surrogate Mothers have undergone medical and psychological screening before they are included in our database. With the help of our team of doctors, nurses, coordinators and support staff, we have been able to assist families in fulfilling their dreams. If you are also ready to complete your family with the help of Egg Donation and Surrogacy, you should rely on the experts. SEED understand the care needed during this journey and is always available to assist at each and every step.